Lights Out Manufacturing: let the machines keep working after you go home. It’s the next step for greater productivity and profitability in manufacturing. 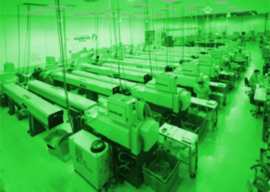 This Guide shows you how to start doing Lights Out Manufacturing for your shopper quickly. Included are 21 tips to maximize your chances for success. What does Lights Out Mean? In Lights Out Manufacturing, the CNC machines continue to operate without operators for some length of time. Or, as one article puts it, “You go home and the machines keep on working.” The goal of Lights Out Manufacturingis to increase shop productivity by reducing labor costs, but there there are more reasons to undertake Lights Out Manufacturing than simply reducing labor costs. Lights out machining tips from the CNC Chef from Cutting Tool Engineering on Vimeo. 1. Reduced Labor Costs since no operators are needed during the “Lights Out” period. 2. Increased shop capacity and spindle utilization since the machines are able to run for longer during the Lights Out period. Sometimes it is convenient to be able to “flex” shop capacity by running Lights Out jobs on an as-needed basis. This allows the shopt to quickly ramp up without having to hire or acquire new machinery. A couple of extra hours of capacity each night may be all it takes to get a shop to the next stage of growth or to allow another customer to be taken on. 3. Ability to rebalance longer running jobs for the lights out period while the short jobs are run during manned shifts. If the job needs to run for a few hours with minimal intervention, putting it on the Lights Out “shift” may free up time during the manned shifts to handle more shorter duration jobs. 4. Ability to tolerate longer running finish passes (perhaps smaller stepovers on a 3D profiling job) by utilizing the Lights Out Hours without impacting the jobs that have to be run during normal shift time. With enough improvement in finish passes, it may be possible to reduce some manual secondary operations. The ability to reduce Labor Costs and increase Shop Capacity are certainly the two big ticket reasons for Lights Out Manufacturing, but improved ability to handle longer-running jobs and the ability to reduce secondary finishing operations are also useful benefits. 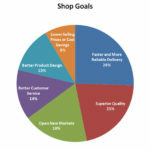 Our 2013 analysis of Top Shops found that one of the things that makes Top Shops more productive and profitable than others is that they are 39% more likely to do Lights Out Manufacturing. This was the biggest difference in Machining Strategies versus other shops, with the second biggest being the use of 5-Axis machining with full contouring and the third being use of High Speed Machining. However, by 2017, our Top Shops analysis shows use of Lights Out Manufacturing by Top Shops had skyrocketed. Top Shops had gone from 39% to 60% more likely to use Lights Out than other shops. Clearly the word had gotten around that Lights Out works. It’s possible to get started in Lights Out Manufacturing without making huge investments to try to solve every problem needed to enable unlimited Lights Out work. The way to do so is to start running just one setup on each machine at the end of the last shift. The job will be setup and the cycle started so that in the morning, it should have completed and ready to be torn down again. The ideal job candidate to maximize the value of this sort of work is one that runs for a lot of hours without requiring attention. Suppose you’re running 2 10-hour shifts. You’ve got a 4-hour Lights Out window that can be tacked on that adds the opportunity for 4 more hours of spindle time and production. – Make sure the proper part program is loaded and ready to go. – Make sure the job selected for Lights Out has been run successfully during a fully manned shift more than once, and that the part program has not been changed since a successful run was had. If you do change the program, a conservative approach requires it to be run again under supervision before it can be allocated to lights out. – Make sure the job you’re running doesn’t require any wear offset changes mid-job. – Make sure the setup is correct and the workpiece is tightly held in the fixture. If it comes loose, there’ll be nobody around to E-Stop the machine. – Make sure the cutting tools are sharp and have minimal wear. Just before you launch a Lights Out job is an ideal time to do any routine checks for tooling wear. – Make sure the toolchanger is operating freely and that the right tool table information is loaded. – Turn down the spindle rpm perhaps 20% to give a greater margin for error. Lights Out Manufacturing jobs need to be run conservatively and not right on the edge. – Make sure the coolant is properly aimed for best chip clearance, and that there is plenty of good coolant available in the reservoir. – Make sure the compressor is on and there are minimal leaks to ensure a steady supply of compressed air to the machine. – Make sure chips are cleared before you turn the machine loose and that they will be adequately cleared once you go Lights Out. Big piles of chips can bring things to a halt quickly. – Make sure there will be no “Bird Nesting” of chips on the cutters as there will be no operator available to clear them. – Make sure the machine has adequate lubrication and that any reservoirs for way oil or spindle oil mist are filled with fresh lubricants. Be sure the way oil pump is actually working. – Make sure the machine is warmed up and ready to produce parts within tolerances. If it has been running all day on other jobs, this may be taken care of, but remember, the shop temperature may change at night. Be familiar enough with your job to know whether that sort of thing matters. Perhaps the final finish pass is not what you want to be doing Lights Out on some jobs. – Make sure you’re not running materials (such as Magnesium) or coolants (such as Oil-based) that increase the likelihood of fire hazard. Make sure your shop’s fire alarm is armed and that you can respond quickly if an alarm is sounded. This may seem like a lot of trouble, but remember, a little labor up front will be offset by savings in labor while the job is running unattended. Also, many of these things are routine items that should be checked anyway. As your shop moves up the learning curve from running simple jobs Lights Out, it will want to expand its Lights Out capabilities. You’re probably getting a lot of ideas from the basic Lights Out checklist about what may be involved, but let’s run through a more complete set of challenges and some ideas for how they can be handled. We’ll do this by calling out every area a human operator might be needed for and suggesting ways of automating that role. To gain maximum benefit from Lights Out Manufacturing you’ll need for your machines to be able to load their own workpieces. Lathes are ready made for automated workpiece loading through the use of bar feeders. For mills you can get a little bit more part capacity sometimes with a tombstone on a fourth axis, but for more capacity, you’ll want a pallet system. You can set up an automated pallet system that let’s your step pallets through the machine during Lights Out. The pallets are loaded up during the day by the operators and then the completed jobs are unloaded the next morning.There are also various systems out there that act almost like bar feeders for mills. There are lots of cutting tool related issues to deal with including checking for breakage and insert wear, checking the tools running properly, and ensuring the tool table is right. A lot of this can be automated by a combination of automatic toolsetting and a load fault capability. Automatic Toolsetting uses sensitive probes to measure the tool offsets, adjust them for wear, and check for breakage. The carousel can be probed before the job starts to establish the baselines, and then wear can be checked after each toolchange. If the tool has become broken or too worn, an alternate can be selected or the job can be halted. 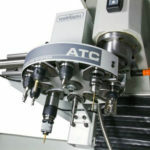 A good automatic toolsetter even checks for unexpected runout on the tool which may be due to improper use of the toolholder or a chip becoming trapped between the holder and spindle taper. A load fault capability stops the machine if the spindle load exceeds a programmed threshold, perhaps due to the tool hitting something unexpectedly. Being able to manage multiple copies of the same cutter is extremely useful. It allows a job to continue if a tool breaks or becomes too worn and it allows jobs to be tackled where tool life will be such that more than one copy is needed to finish. A good HMC with a pallet system will require a lot more tools than you’d think. If you’re wondering why such machines can be had with a couple of hundred toolchanger slots, this is the reason. The more tools there are in the magazine, the more copies can be there, and the longer the machine can run without operator intervention to change cutting tools. A machining center with a large tool magazine can be a real boon to Lights Out Manufacturing. There are many tasks associated with the management of coolant and chip evacuation. Certainly making sure the coolant reservoir is full and the coolant nozzles are properly aimed is the minimum before starting a Lights Out job. Making sure the machine is clear of chips from prior jobs is also important. If you have a job that requires manual chip clearing, try running just the finish pass on such jobs, and do the roughing on the manned shifts. Use pallets to do roughing and leave parts on pallets for later finishing. Overnight may be the time to run small stepover long-running finish jobs. Chip augers and conveyors need to be working properly, and the bins chips are delivered to need capacity to hold the results of a Lights Out run. Your programs may need to be set up to activate augers and conveyors at periodic intervals. – Fire: Especially with oil-based material and flammable workpieces. Dust is also a fire or even explosion issue. – Compressed Air: Police your leaks so compressor runs less often. Consider a pressure switch that shuts down the machines and allows remote monitoring if the air pressure in the lines falls too low. – Way Oil: Certainly check its full before “Lights Out” operation begins and that the pump is delivering way oil. In some cases it may pay to increase the reservoir capacity. 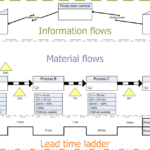 Depending on the sophistication of your machine, it may already have sensors and logic to automate theese functions or you may need to add them as part of your Lights Out Manufacturing initiative. You’ll need to think about the automation of workpiece unloading at some point. Pallet systems and lathe parts hoppers work well. Make sure the Lights Out prior shift checklist makes sure they are emptied, working, and ready to go. Some decent monitoring and data collection will be important early upgrades to your Lights Out system. Being paged when there is a machine fault is the minimum first step. From there you can add cameras and Machine Data Collection. These days being able to monitor the machine table and control panel with a camera is fairly cheap to do via web cameras. You can even get them with remote tilt/pan/zoom and low light capability. If you’re running a lot of parts, even more sophisticated monitoring may be needed. You’ll want to be able to identify which parts had excessive tool wear or which ones were out of tolerance so they can be checked and dealt with the next day. Part program version control, knowing you always have the most recent and correct version of the program for the part that is supposed to be made is very important. This can require a fair amount of specialized software if you make a lot of different parts and want full flexibility over the mix being produced for the Lights Out Manufacturing runs. You’ll need to make sure you’re running proven programs that have been well-tested during manned shifts and that haven’t changed since they were proven on a shift. In some cases, you will want program behavior to change depending on whether it is run on a regular shift or Lights Out. One shop wired up a switch that could be monitored by the parts programs that allowed them to tell what position the switch was in and change behavior based on that. One position was for shift running and the other was for Lights Out running. Similar approaches can be used to let the part program monitor sensors and change behavior accordingly. In the case of the shop with the Lights Out switch, it was primarily used to scale back the spindle rpms during Lights Out running. Cutting back to 80% of normal rpms adds a lot of tool life and increases the margin for error. Parts must be solidly held. Pallet systems and hydraulic or pneumatically operated workholding is common place. If the part comes loose during Lights Out operation, there’s nobody there to hit the E-Stop. In-process probing can be invaluable for Lights Out operation. Probes can do Quality Control checks on tolerances, and update to compensate for thermal expansion, insert wear, and other variables. See our article on RAMTIC manufacturing for some ideas on how this works. 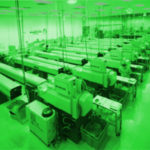 There are a myriad of other things operators do that you may have to improvise in order to deal with them during Lights Out Manufacturing. – Chip fans can help clear chips and coolant out of the way and off the table. Mounting a wire brush somewhere on the table allows the program to be set up to swipe the wire brush over a tool in order to pull chips off of it. Running the spindle in reverse while the tool is working against the wire brush will clear the chips handily. – You may need to clear chips from holes between operations, for example before trying to tap a blind hole. You can fabricate a nozzle affixed to a tool holder in such a way that the through-spindle coolant can blast the hole clean, or remove chips from deep pockets and the like. – Another shop mentions brazing corkscrews to an extension and using that rig to pull chips out of holes. – Tapping often works better with a good tapping fluid, like Moly-D. You can program your g-code so it dips the tap into a reservoir mounted on the table before tapping each hole. The list of miscellaneous tasks operators perform goes on ad infinitum. Use your ingenuity to figure out how to automate those tasks so they can still be performed during Lights Out Manufacturing. The biggest key to Lights Out Manufacturing success is not the gadgets and technology, it is process maturity and security. You need to have sufficient experience with your Manufacturing process so it is predictable and you understand how to recover from potential problems. Test during shifts. Don’t try new things for the first time on a Lights Out run. With some effort and investment, you’ll be able to run more and more jobs Lights Out, and you’ll likely wind up increasing automation and reliability for your day time jobs too. With Lights Out, there are no operators. All those little things the operators are catching? You have to figure out how to prevent them in advance or deal with them in a completely automated way. You have to realize that with operators present, you’ve mostly gotten by without fixing root causes–you’re simply using the operators to work around them. Lights Out won’t tolerate that level of sloppiness–it forces you to focus on fixing root causes and on being very paranoid about what might happen. Let’s assume there are eight potential glitches that can each stop a particular process. You can easily make a list of a lot more than 8, but prioritize it to the 8 most likely. Further, let’s assume that each of the 8 fails only 1 time in 20. Guess what? If those 8 are present, your Lights Out process will run successfully only two-thirds of the time. Fully one-third of the time you’ll come in the next morning with something to be unhappy about. In the best case, things just didn’t finish and now you’re behind where you thought you’d be. The worst case? Who knows, maybe a fire started and your whole shop burned down. 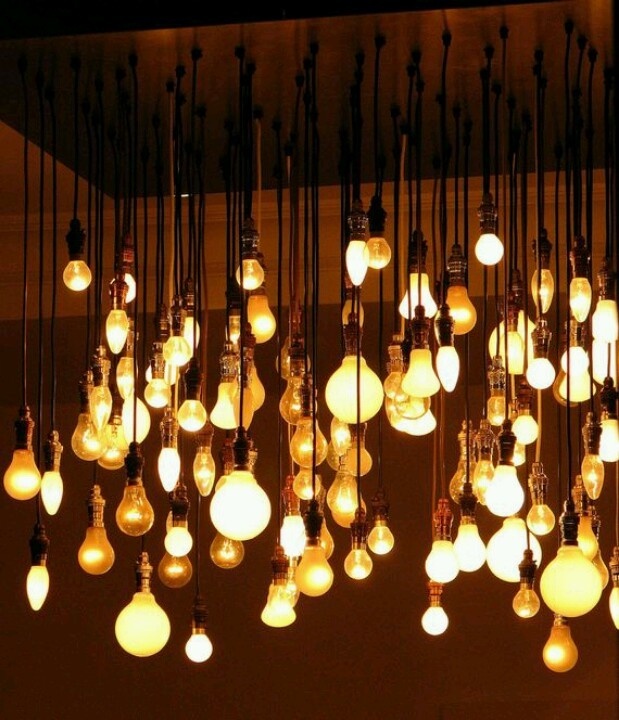 Light Bulbs = Ideas. But what about Lights Out Ideas? I hope you’re starting to see that Lights Out is a Quality Game. It’s an Odds Game too, and you want to work on Quality issues that will skew the odds in your favor. You will probably never achieve perfection–the jobs will change too often for that. But you can get very good at Lights Out and that will make you and your shop a lot of money. Start with “Don’t Care” goals. Think of Lights Out Manufacturing as a margin sweetener, but don’t commit anything to it that has to be done. Only commit work that it’d be nice to get done via Lights Out. That way, if the results disappoint, it’s no big thing, and if they succeed, you can keep that big smile on your face. Run only proven jobs that have been tested with plenty of operators present during the day. Until they run unattended, don’t relegate them to Lights Out. One shop I talked to had a clever idea–they schedule a job so the last tool ran unattended on a job. It didn’t run all that long, a little over one hour, but it was their first baby steps. They made sure the cut got started in good shape and then headed out the door. They had proven the job ran fully during the day, so all was well. Never run new code on a Lights Out job. This is part of the proven job thing. If you change a part program, you have to run it fully attended before it can go to Lights Out. Invest in simpler repeatable quick change setup. Fixture plates, pallets, and that sort of thing. You don’t want a shift to be hastily setting up a Lights Out job just as they’re in a hurry to clock out. So make it as easy and foolproof as possible. Quick change tooling like the Capto system can make tool setup for the Lights Out shift faster and easier too. Invest in monitoring. Personally, I wouldn’t want to run a Lights Out job unless I had fire alarms and fire suppression on all the machines that would be run Lights Out. Being able to tell via MTConnect or other technologies the status of a machine is also helpful. Is the part program still running? Can I determine that remotely? How about video inside the machine? How about video of the machine’s control panel? Internet video is pretty cheap and cheerful to set up these days and might be well worth it for Ligths Out Manufacturing. Keep one light on. In other words, leave one operator at the plant. Depending on the size of the plant, one guy to monitor and put things back on track is almost infinitely better than having nobody. And that one guy may be just a small fraction of the normal staff so you’re still keeping most of the profit. Having one person to walk the aisles, listen for Bad Noises, or check personally if a machine has stopped unexpectedly can really make Lights Out dramatically more likely to succeed. If you rotate that job among your staff, they will all gain an appreciation for what sorts of things interrupt a Lights Out operation and they’ll be that much more diligent about preventing recurrences too. Reliable Equipment: You know that one machine everyone hates? I know, you have a soft spot for it–it was your very first VMC. You bought it used and beat to death, but you’ve nursed it along and it still makes parts. Sometimes. How about we leave that machine out of the Lights Out rotation? Maybe we want to use your newest machines instead? Preventative Maintenance is the cheapest and easiest path to reliability for Lights Out Manufacturing. You have to train everyone as soon as there is a problem to deal with it and not just work around it. You may not be able to afford to stop everything, but you need to at least note it down so someone will deal with it in short order. Pilots keep a log of what they call “squawks” about their airplanes–every odd noise or slight misbehavior goes onto the squawk list. Their goal is to fix those things before their next flight, if possible, and definitely before they can get bad enough to cause a real problem. Add a log of some kind to every machine and encourage operators to write squawks down in the log. Make it someone’s responsibility to gather than information and get things fixed at the root cause so the squawks go away. Add to that log a program of preventative maintenance. Operators need to turn to that page and perform any tasks required that day before they start using the machine to make parts in earnest. Make them sign each item to signify they take responsibility for having done the work. Simulation: Can we run first time correctly every time? There are shops that can throw a job on a machine and know it’ll run correctly the first time and every time. They’ve invested heavily in simulation and other technologies and they know because they’ve proven out so many jobs during the day that ALL their jobs will run as expected the very first time on a machine. This is an extremely difficult achievement, but very profitable if you can get there over time and ideal for Lights Out Manufacturing operations. Even if you don’t have this degree of sophistication around your use of simulation, running a simple simulator on any g-code before it goes on the machine will save time and money and is good discipline. Coolant Management. Suppose your coolant nozzles become clogged with fines 30 seconds after the last operator walks out the door for the night, what do you think is going to happen to that Lights Out job? Add a filter to your coolant lines pre-nozzle so fines won’t clog your coolant nozzles. Put pressure gauges coming and going from the filter and when the pressures are too far apart you know the filter is clogging up–get it changed. How about putting skimmers on all the machines to get rid of tramp oil? Do you have a preventative maintenance regimen for coolant? Who is responsible for checking coolant concentration, coolant levels, and how often does it get checked? Most experienced Lights Out operations prefer High Pressure coolant. It brings an extra margin for error that provides more safety cushion with chip clearing. Lastly, prefer water based not oil based coolants as oil bases can catch fire. – Chip fans can help clear chips and coolant out-of-the-way and off the table. Mounting a wire brush somewhere on the table allows the program to be set up to swipe the wire brush over a tool in order to pull chips off of it. Running the spindle in reverse while the tool is working against the wire brush will clear the chips handily. Conservative Feeds and Speeds. Most experienced Lights Out operations dial back the feeds and speeds for Lights Out shifts. It slows down the jobs but increases tool life creating a safety margin against tool breakage during Lights Out running. The amount to slow down varies, but G-Wizard’s Tortoise Hare slider makes it easy to calculate more conservative settings. Full Time Tool Monitoring. We talked about some forms of monitoring above, but I saved Tool Monitoring for its own item because it is one of the most if not the most important things to be able to monitor. Your goal is to detect tool breakage or excessive wear. Various types of sensor can be placed on the machine to do so. You will want to check each tool with code in the part program before it runs every time you change tools. For the next level of sophistication, provide redundant tools in your tool changer that are automatically selected if a problem is detected with a tool. For even more sophistication, use a machine that has tool wear monitoring and management built in. Bar Feeders and Pallet Changers: How are you going to get new workpieces into the machine with no operator present? Initially, you may not, but eventually you will need to be able to get new material to machine automatically. Bar Feeders for lathes and Pallet Changers for mills are the usual approaches. With a sophisticated pallet changing system, you can even allow for completely different fixtures and process multiple different jobs during the Lights Out shift. 16. Which Parts? Take some time to choose which parts to make on a Lights Out shift–not all are equally suited. For example, big complex parts are high risk. The problem that scraps the part can happen late in the game maximizing the cost of scrapping. Choose families of similar parts that can share the same tools. For bar-fed lathes, choose parts that can all be made from the same sized bar. 17. Think about tolerances. There’s no operator to take a measurement and make mid-flight corrections with wear offsets. With in-process probing, you may not care, but without it, you’ll have to avoid those parts. Thermal stability is another issue. If you machine has features to increase thermal stability, that’s a good thing because running the machine for so much longer will mean great variations in operating temperatures. Alternately, there are strategies like RAMTIC that can compensate on the fly. 18. Compressed Air: we take it for granted, but our machines are stuck without it. Make sure all is well with your compressor. Preventative maintenance is key here too. Also, are you set up to automatically drain water from the tank? Do you use an aftercooler to help cut down on moisture in the lines? How about a pressure switch with an alarm that will make sure someone comes running if there’s no air during the Lights Out run? Police your air leaks so the compressor won’t have to run so hard too. 19. Fancy GCode tricks for Lights Out. I could probably write another list of 21 that was just about gcode tricks appropriate to Lights Out Manufacturing. Peruse our list of 37 things you can do with custom gcode that you can’t with CAM and you’ll find many ideas. Custom gcode is handy for all kinds of things. With the right DNC setup, for example, you can have your machines confirm every time they change a tool to a log file. That’ll help you narrow problems down if there is one. You can write macros that will send messages that may tell exactly what the problem was–tool wear alarm was tripped, for example. You’re going to need to master g-code to play all these tricks, so why not check out our Free G-Code Tutorial today? 20. Lights Out tapping? Ooooh sounds scary, no? Tapping often works better with a good tapping fluid, like Moly-D. You can program your g-code so it dips the tap into a reservoir mounted on the table before tapping each hole. That’ll give you a lot better safety margin over fluid alone. Want even more margin? Use thread milling instead of tapping. If you break the thread mill, it won’t be jammed solidly in the hole. 21. Get smart with probes for inspection. With Lights Out, you may want to do a little more inspection than when the machine is attended. Probes are one way to manage this. Consider probing the last feature each tool on the job machines on each part. You’ll know in a hurry exactly where things when wrong if your probe decides to stop the job. In many cases, knowing where to start looking for a problem is a huge part of the job of fixing Lights Out problems. There you have 21 ideas to improve your odds of Lights Out manufacturing. There are many more available, but if you follow as many of these as you can you’ll be way ahead of the game. Just remember, take it step by step, walk before you run, and be relentless about continuous improvement, fixing root causes, and preventative measures. Those are the keys to a successful Lights Out program. 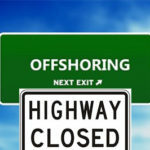 Do You Know These 14 Ways to Be More Competitive Against Offshore Manufacturing?